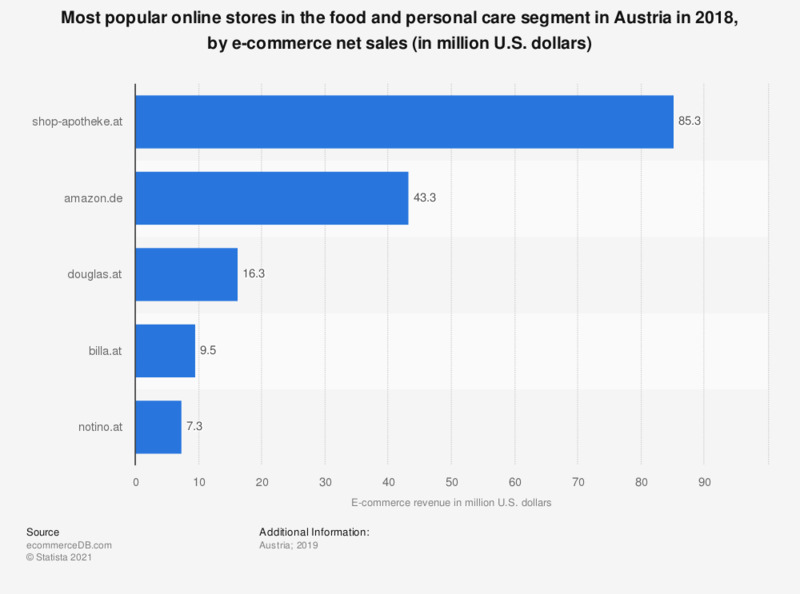 This statistic presents a ranking of the most popular online stores in Austria in the food and personal care segment in 2018, sorted by annual net e-commerce sales. In 2018, market leader shop-apotheke.at generated 85,3 million U.S. dollars via the sale of products from the foor and personal care segment in Austria. The online store amazon.de was ranked second with a revenue of 39,7 million U.S. dollars.